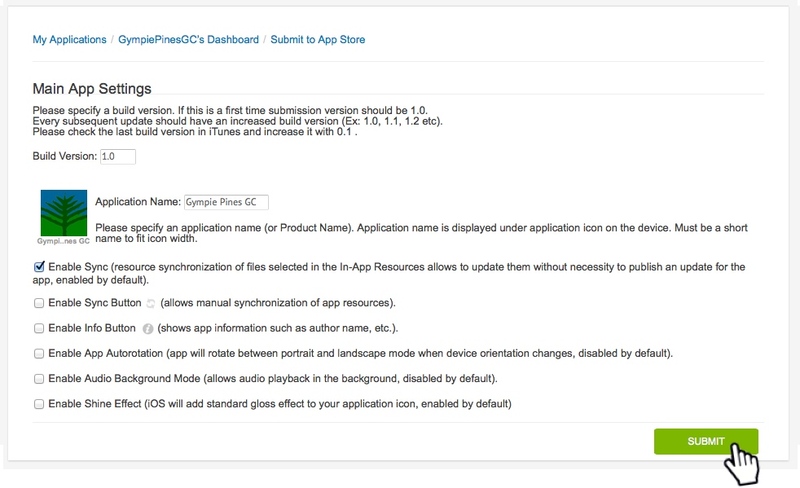 The following tutorial shows you how to publish your App on the 'App Store'. The iCaddy Apps framework lets you publish your App without the need to have your own Apple Developer account (in iTunes Connect). Publish using iCaddy Apps' account at no extra cost. 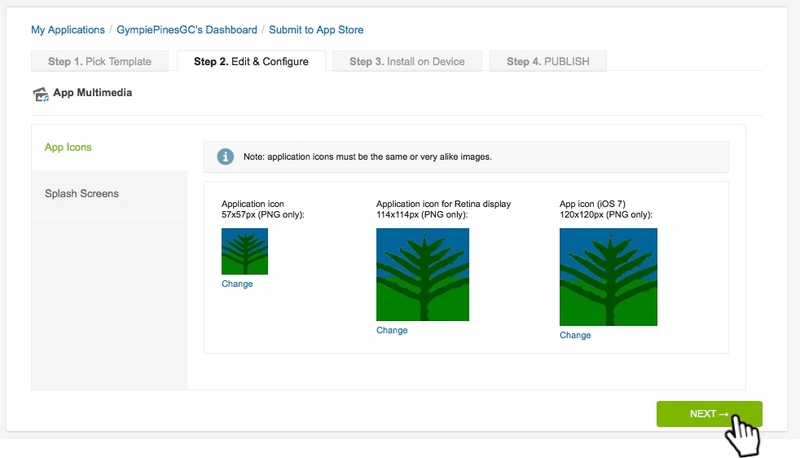 Navigate to the ‘Application Dashboard’ for the App you wish to publish. Click ‘READY TO PUBLISH’ as shown above. Select ‘Publish Under iCaddy Account’. 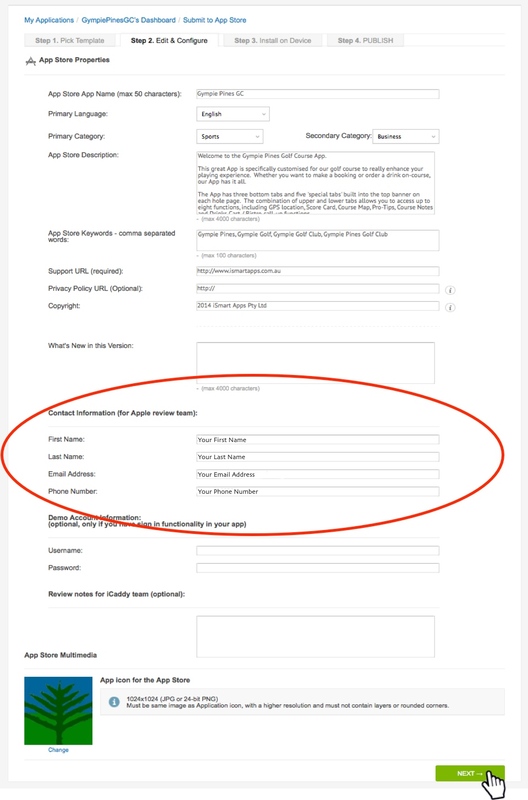 Note: After selecting this option, additional information about App Content requirements is displayed (as shown above). Some of the requirements listed only apply to custom-built Apps, however all Apps must meet the copyright requirements specified. For further information regarding App publishing requirements on the App Store, go to iTunes Developer Terms & Conditions, or contact iCaddy Apps. Click ‘NEXT’. The ‘App Store Properties’ screen will appear (as shown below). App Store Properties. 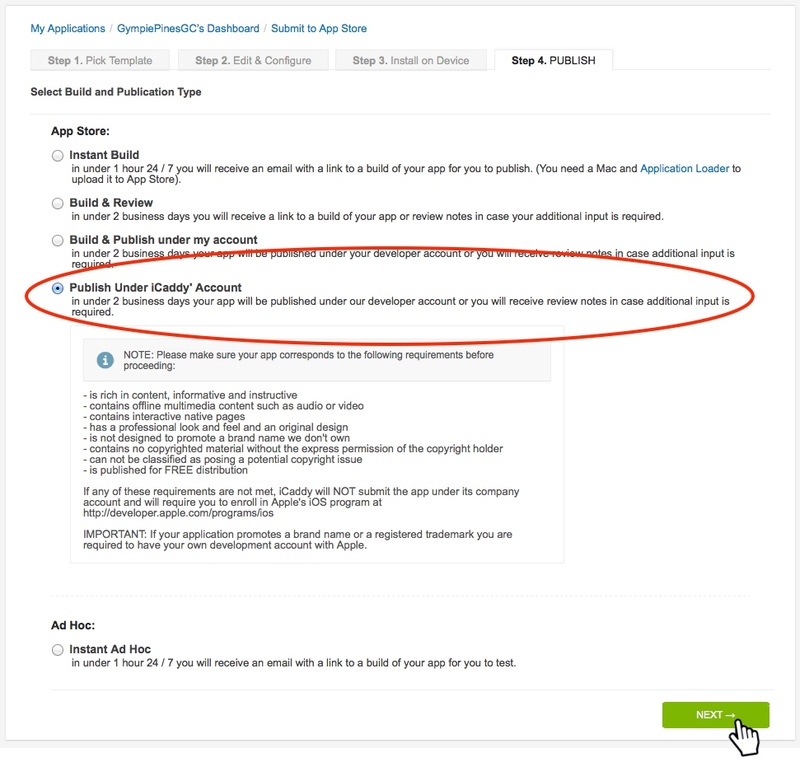 The publishing process requires you to verify the content in your App, including the 'App Store Properties' (as shown above). If you have previously completed this information (as described in How to Edit 'App Store' Properties & Multimedia), most of the required information and content will be pre-polulated. You can apply final edits here if required. 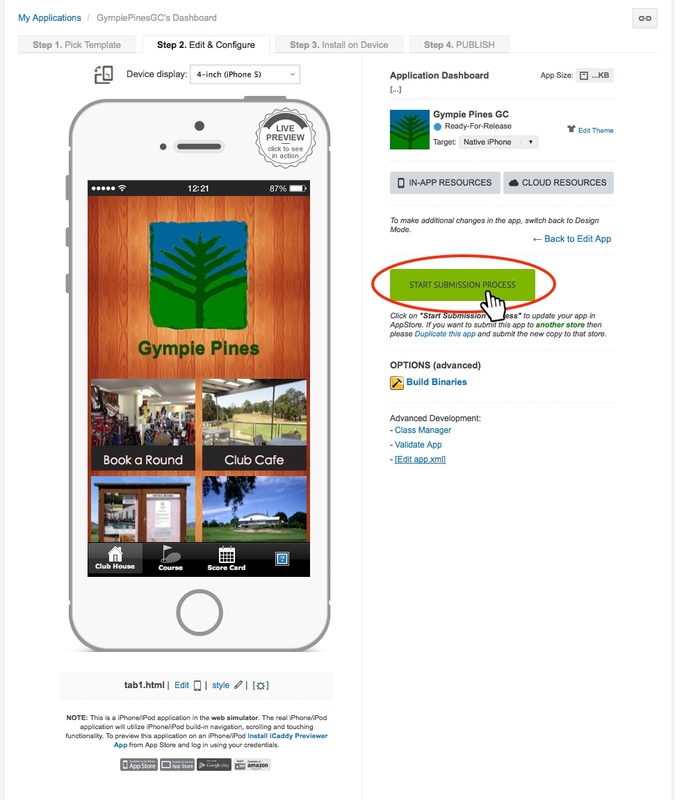 For further information on how to edit the ‘App Store Properties’ for your App, go to How to Edit 'App Store' Properties & Multimedia. Contact Information (for Review team). Enter your contact details as required. 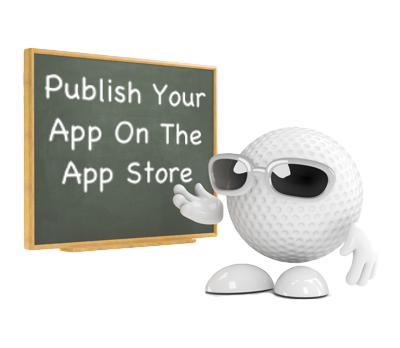 If your App complies with the publishing requirements, it is unlikely you will be contacted. Review Notes. Include any ‘Review Notes’ as required (optional). For example, review notes might describe the reason for re-publishing. Demo Account Information. The ‘Demo Account Information’ properties only need to be completed if you have customized your App to include ‘Log-In’ functionality (e.g. member access / restricted access). This functionality is not incorporated into iCaddy's current range of templates by default, so ordinarily leave these fields blank. App Store Icon. Make sure the ‘App icon for the Play Store’ displays your preferred icon. 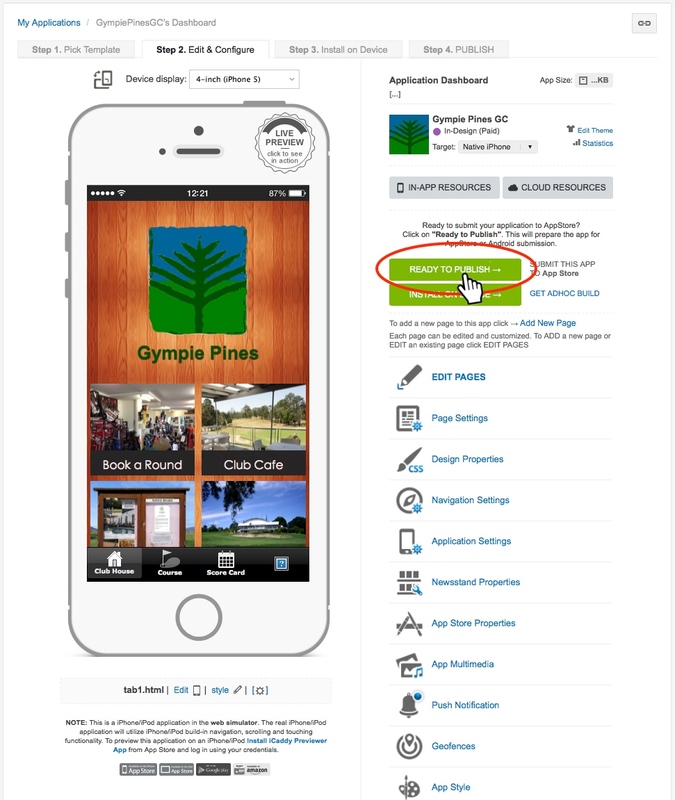 For further information on editing your App’s icon, go to How to Edit 'App Store' Properties & Multimedia. Click ‘NEXT’. The ‘Apple Push Notifications Settings’ screen will appear (shown below). Push Notification Settings. iCaddy Apps templates do not have Push Notifications enabled by default. Only select ‘I want Push Notifications enabled’ if you wish to incorporate 'Push Notifications' into your App. Click ‘NEXT’. The ‘App Multimedia' screen will appear (shown below). App Multimedia. If you have previously completed all the necessary steps detailed in How to Edit 'App Store' Properties & Multimedia, all the ‘App Icons’ and ‘Splash Screens’ will be pre-populated. Make sure you check all the Application Icons and Splash Screens are correct by selecting the relevant tab on the left of page. For further information on how to edit the App Icons and Splash Screens for your App, go to How to Edit 'App Store' Properties & Multimedia. Click ‘NEXT’. The ‘Main App Settings’ screen appears (as shown below). Build Version. Enter the ‘Build Version’ as required. Refer to the information provided on screen regarding build version increments. Application Name. Check that the ‘Application Name’ is correct. Important: This is the name that will appear on the App Store. This name cannot be changed once submitted. Make sure it is right! ‘Enable Sync’ will be checked by default. We recommend leaving this selected to enable syncing without republishing. Note: Do not select any of the other options listed (e.g. do not select ‘Enable Sync Button’, ‘Enable Info Button’, ‘Enable App Autorotation’, 'Enable Audio Background Mode’ or ‘Enable Shine Effect’). These functions are not required for standard iCaddy builds. For further information on these functions, please contact iCaddy Apps if required. Click ‘SUBMIT’. The ‘Request Process Complete’ screen will appear (as shown below). Congratulations. You have successfully requested your App to be published on the App Store. Click ‘DONE’ to return to the ‘My Applications' list.